If you are looking for an easy way to convert your AVI movie files into an MPEG file, then fear not. Unlike a couple of years ago, you can pick up a plethora of brilliant free AVI to MPEG converters in just a few minutes or seconds. In fact, rather than being stuck with just a few selections like before that all cost money, today you have so many to choose from! To help you out, we have put together a list of 5 Free AVI to MPEG converters. 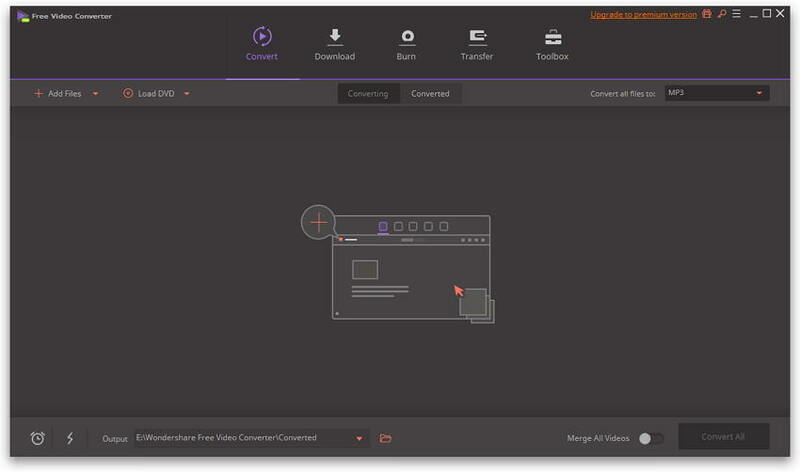 Rated as one of the most reliable free video converters out there, Wondershare Free Video Converter claims to be up to 30x faster than any other converters out there. However, this converter comes with much more than just conversion tools. On top of converting into over 1000+ different formats, you can also download videos from the web with ease and manipulate the file to your every desire. You can even burn DVD instantly by using the software, giving you an excellent all-in-one package. Broad Format Support: Convert to a vast range of HD and SD video formats, including common HD video format like HD TS, HD MPG, HD WMV, HD MP4, HD MKV, etc., popular SD videos like AVI, MP4, MOV, WMV, MKV, MPG, MPEG, H.264, H.265, and more. Export Audio from AVI Video: Extract audio files from different videos and save them as MP3, WMA, M4A, WAV, APE, FLAC, AAC, AC3, MKA, OGG, AIFF, RA, RAM, MPA. Enhance AVI Videos with Rich Edit Functions: Crop the black edge to full screen, trim unwanted part, rotate sideway videos, merge several videos into a single one, apply some interesting picture or text watermark to make it more unique and stylish. 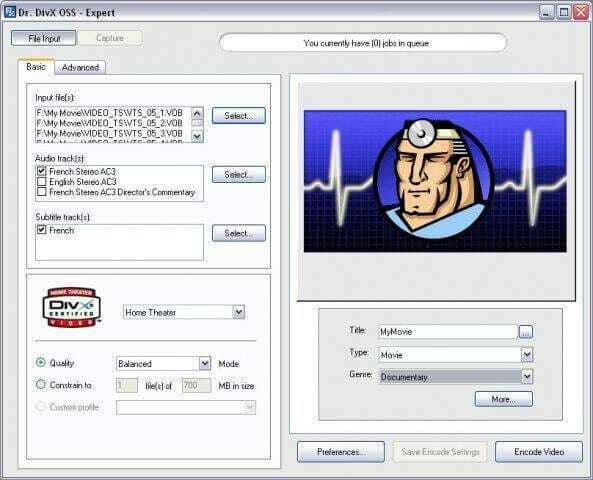 Released in 2008, Dr. DivX is a brilliant converter that has everything you need to convert your files into a DivX compatible format. It can convert just about any file type from MPEG-1 and MPEG-2 to an MP4 or MOV format. It automatically generates files which are DivX compatible and offers support for multiple audio tracks, which is very rare for a free converter. All you need to do is to follow the simple Wizard provided and configure the settings based on the level of quality you are looking for. All you need to do is choose the quality level required and Dr. DivX will come up with all of the difficult equations! Although they are widely used today, Mac computers still have a lot of catching up to do with regards to freeware out there. iSquint, however, rides to the rescue to help convert videos in no time at all. The simple drag-and-drop GUI makes it a piece of cake to use and you can even alter the ratio and quality output with the slider bar. If you know what you are doing, you can open up the Advanced section and really get involved in the editing process. 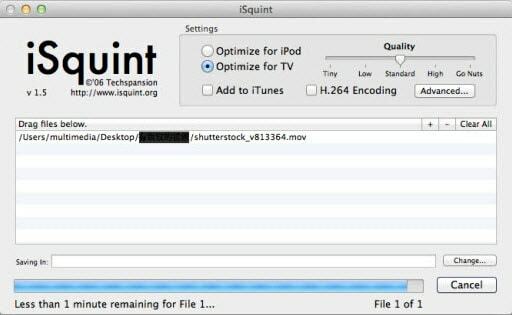 iSquint is roughly 5 times faster than QuickTime Pro, and can handle just about any regular video format. It's a fantastic, free alternative to QuickTime. Created specifically for Windows, this build of the popular FFmpeg conversion tool, an old-school command-line conversion tool, is extremely powerful. You can convert video formats like AVI, MKV, MOV, MP4, OGG, SWF, TP, WMV, and any other you can think of. It makes up for its perceived lack of user friendliness by being extremely powerful. It supports one of the widest areas of video and audio codecs out there, and works really fast. What it lacks in visual power, FFmpeg makes up for in sheer strength. This web-based converter is an awesome way of doing things quickly and without any messing around. The simple interface gives you three options for audio and four for video. All you need to do is either to upload the file, or to input the URL of the video into the bar provided. This free online media conversion tool is well worth having bookmarked, it's quick to use, it supports a wide array or websites like youtube and it is free to use. This means you can download your favorite video clips from the web to show your friends with ease or watch when you are on the go. 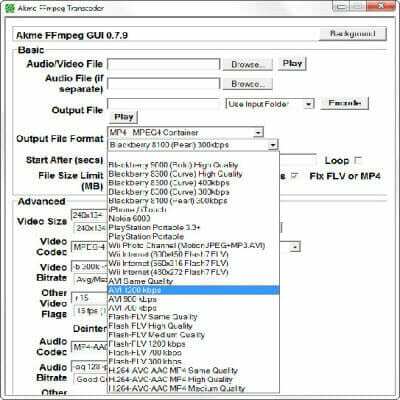 The 5 AVI to MPEG converters above are some of the most reliable video conversion tools available. They provide features that even some Premium equivalents don't, and all of them are worth trying out!